1 ice cream | This Blog Rules | Why go elsewhere? Haagen Dazs is one of the leading powerhouses of the ice-cream industry at the moment. The faith people have placed in the brand comes from the decades of experience amassed behind them. Not only that, but in a time that’s oversaturated with artificialness and red flags raised everywhere regarding what we choose to consume, Haagen Dazs continues to steer away from chemical additions. Although it was a company that started off with only vanilla, chocolate, and coffee as its flavors, there are countless of Haagen Dazs flavors to choose from. Don’t know where to begin? Start with the best of the best. We all know how tastes can be subjective, so it’s really extraordinary to see how caramel cone is the one thing that so many people can agree on. It may not be one of the Haagen Dazs flavors that were there at the start of the company, but it doesn’t need to be. Caramel cone is one of those flavorful journeys that can truly make your taste buds explode. Even if green tea wasn’t among the very best flavors, the very fact that it exists makes it AT LEAST one of the most surprising Haagen Dazs flavors out there. 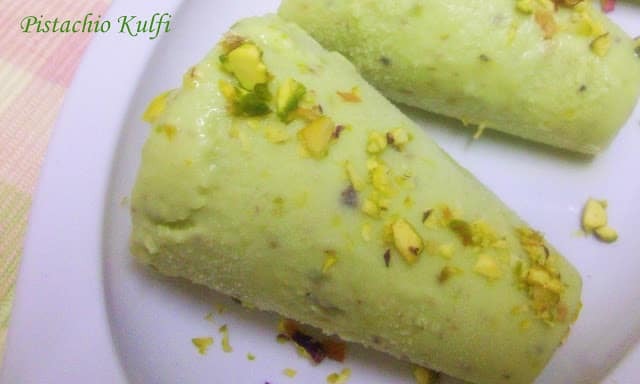 After all, who would’ve thought you can make green tea ice-cream? Not only that, but that it’s also delightful and delicious? Haagen Dazs’ green tea ice-cream is the perfect balance between fresh and sweet and one of the healthiest variants on their menu. Wait, wait, wait – hold on. What even is dulce de leche? Surprisingly, perhaps, it’s nothing strangely exotic as it’s, in a broad sense, a mix of caramel and vanilla flavors. And we know just how popular this other caramel-based flavor is, right? 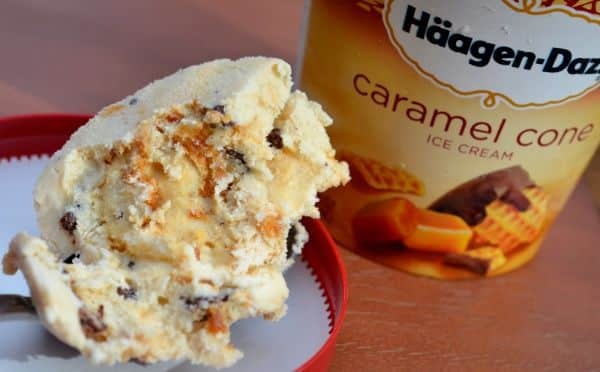 The Haagen Dazs dulce de leche ice-cream is a must-try for any lovers of the frozen treat. Sure, mango-flavored things are generally always a hit with the public simply because of how perfumed and generally mouth-watering it is. But mango is also one of the most eccentric Haagen Dazs flavors up for grabs. The ice-cream is seasonal and even then, it’s considerably more expensive than the other ice-cream flavors provided. Simplicity is where the best things are, right? After so many surprising flavors, it feels kind of good to be able to instantly attach the taste to the name of the flavor. But just because you think you know what coffee-topped frozen cream tastes like, that doesn’t mean you should give this flavor a pass. The Haagen Dazs coffee ice-cream is a wholly different experience. 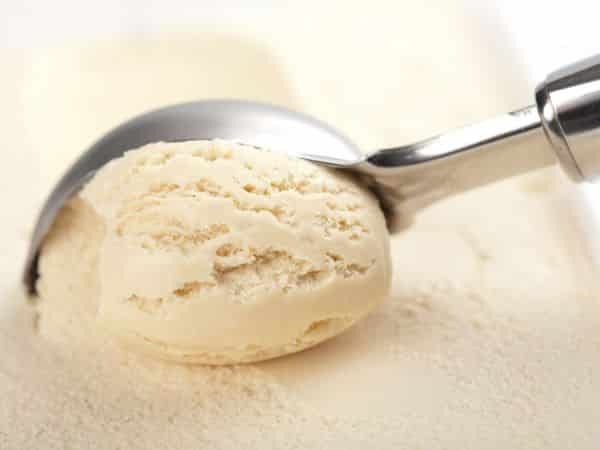 Vanilla is another of the holy triad of flavors that Haagen Dazs opened its business with, as well as one of the most common and widely-produced flavors around the world. It’s this very fact that makes it all the more challenging to really get the taste down right and make it stand out. Well, needless to say, Haagen Dazs nailed it, but don’t take our world for granted. Strawberry is one of the most popular fruit-based flavors everywhere, but that doesn’t stop Haagen Dazs from making it a seasonal sale as well. Given just how incredible the strawberry ice-cream is, there’s really no wonder that the shelves are emptied nearly instantly the moment it’s put in sale. Don’t think that the ever so popular Oreo didn’t manage to make its way among Haagen Dazs flavors as well. The cookies and cream ice-cream is a soothing and creamy flavor which comes with a blend of delicious vanilla and Oreo cookie chunks. The reason why it’s slightly pricier than other flavors is probably because otherwise the stock would be exhausted in one hour. Chocolate is the king of flavors, no doubt. The market is so oversaturated by “chocolate-flavored things” that even those of us that aren’t necessarily experts have learned to differentiate between low and high-quality chocolate. The Haagen Dazs chocolate ice-cream is among the upper class of chocolaty frozen treats – understandable, given the decades of practice behind it. Pineapple and coconut is a combination that can either be a hit or a miss. You like it or you don’t – there’s no between. But if you’re one of those that does like it, Haagen Dazs is where the best ice-cream of the sorts is at. And in case you’ve never had one of these delights, it’s a good place to start. Now that the weather is warmer, well at least theoretically, we’re beginning to feel obsessed over frozen treats. Ice cream is universal, indeed! From the French sorbets, to the Turkish dondurma and Indian smooth and locally flavored ice cream, taking a world tour just to try as many as you can sounds like the perfect plan. 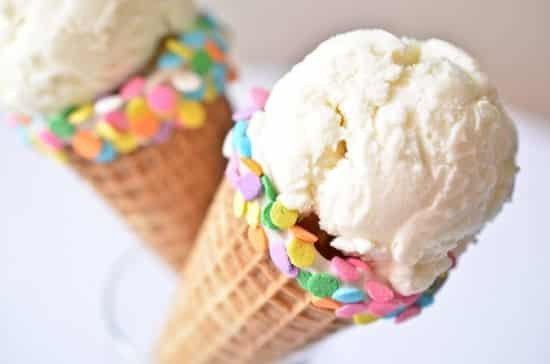 So here they are: 7 traditional ice cream recipes worth dying for! Who was behind this brilliant idea? Well is appears that the Chinese elite used to really enjoy their frozen desserts about 4,000 years ago. It all began with frozen syrups, but as they became hooked, they invented a method that could make ice cream before the invention of any refrigerator: “They poured a mixture of snow and saltpeter over the exteriors of containers filled with syrup, for, in the same way as salt raises the boiling-point of water, it lowers the freezing-point to below zero,” according to the History of Food, by Maguelonne Toussaint-Samat. The Persians enjoyed it big time as well. And finally, when the Arabs invaded Sicily in the 8th century, the obsession was passed on. The ice cream recipe was brought to North America in 1744 by Scottish colonists. Nowadays Americans and Australians are the most dedicated ice cream eaters in the world, but nevertheless almost every country enjoys it and adapts it to local culinary inclinations. India’s kulfi is very dense and somewhat granular due to a mix of condensed milk, sugar and exotic flavors like saffron and cardamom. Its particularly dense texture resembles custard and it is a consequence of the milk being boiled down to a thick liquid. 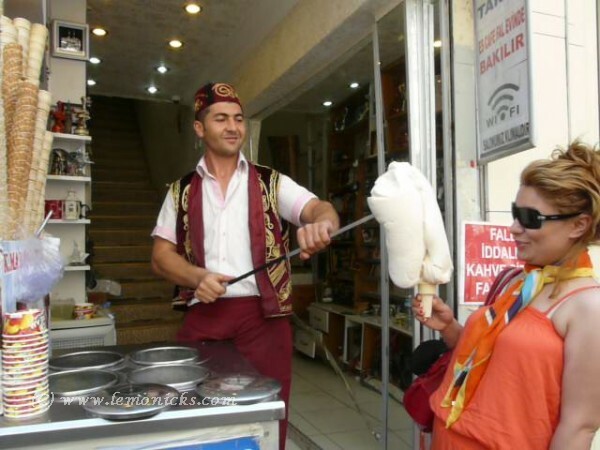 Turkey’s stretchy ice cream is definitely unique. This ice cream called dondurma has a similar pliability to taffy. And the sellers always make a show when you pass by. It is made with salep, which is ground orchid root, a substance that gives the ice cream a curious elasticity. 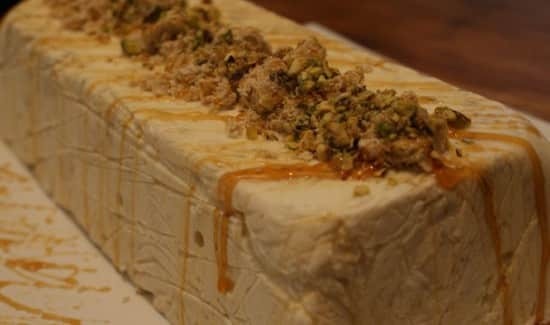 Israel’s halva ice cream will raise your blood sugar to its peaks. As some of you may have heard, or even tried, halva is very sweet, yet irresistibly tasteful. It’s a simple treat made from sesame seeds mashed into a sugar-and-honey paste. 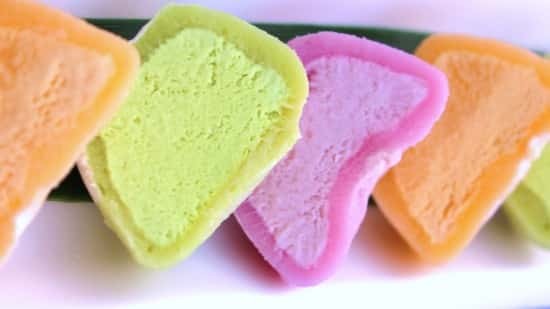 Japan’s mochi is definitely something else. It’s good old ice cream mixed with mochi (a rice cake made of mochigome, a short-grain rice). Actually the ice cream is wrapped in mochi, which is dusted with cornstarch on the outside. You should try the green tea and red bean flavors. 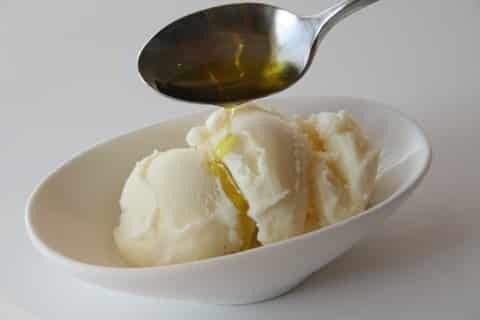 Tuscany’s olive oil gelato is made, according to its name, using olive olive oil along with cheese, seasonal fruit and grapes. It’s the creamiest ice cream you’ll ever taste! Italians are very fond of their natural resources and they like to make everything with ingredients bought from their local providers using their traditional products, and this gelato is the perfect example of the efficient Italian cooking. Germany’s spaghetti-ice is a 1960 invention that basically puts vanilla ice cream through a potato or meat ricer. 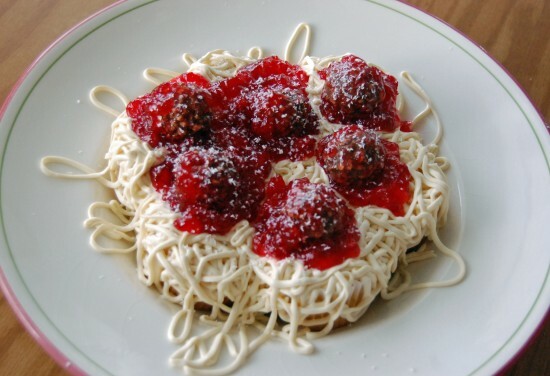 The resulting spaghetti dish is topped with strawberry jam, which serves as tomato sauce and coconut flakes or white chocolate shavings that stand for the Parmesan cheese. Dear reader, here’s something special for you. In case you don’t have a sweet tooth, think again. 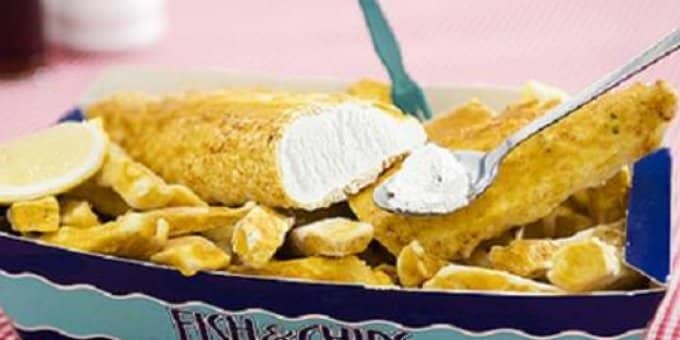 There’s something called Creamed Cod Ice Cream and it can be eaten at George’s Portobello Fish Bar in London. It looks just like the hot and traditional Fish&Chips, London’s pride dish, but instead of steaming fried fish, it’s actually vanilla ice cream coated with a pepper-vanilla batter and then deep-fried. The chips you see in the picture above are made from potato ice cream. This is definitely a taste to remember. All you need is sun and an empty stomach. Bon appetit! At first glance it looks like they’re putting real guns in their mouths, but in real life they are eating edible ice guns.